When running a business it’s important to keep on top of your energy, and this includes providing your energy supplier with regular meter readings. By neglecting to do so, your supplier will estimate your usage during a billing period, which can leave your account in credit or debt. Please note: It’s your responsibility to provide meter readings. Your supplier only has a legal obligation to read your meter once every two years, in which time their estimates could be well off the mark. It’s also a good idea to stay on top of your monthly, or quarterly, bills. In the event that you see an error in the amount that you’re being billed, you can submit an actual meter reading to your supplier to help rectify the error. To read your meter, you first need to understand which type you have. Traditionally, meters will either be dial, LCD or mechanical, and each displays your meter reading in slightly different ways. In addition, if you have more than one rate – for example, if you have an economy 7 energy deal – then you may need to record multiple readings. Below we take a look at the different types of meter displays, and how you would go about reading them. There are two different types of dial meter, and the type that you have will depend on how much energy you consume on average. If the most left dial on your meter is labelled 10,000, then you only need to record the readings in the first five dials. However, if the most left meter is labelled 100,000 then you should read all six dials on your meter from left to right. If the pointer in the dial is between two different numbers, then you should always read the lower number. However, if the pointer is between 9 and 0 then you should read the higher number, and reduce the dial to the left by one. LCD displays are more straight-forward to read – you simply have to record the figure as it is shown in the display. If you are on a multi rate contract, then your meter will either automatically scroll through the different readings, or there will be a button to scroll. One of the readings will be a total of the other two readings. You only need to record the two separate readings, and not the total reading. Of the three, mechanical displays are the easiest to read. You simply record the numbers as shown on the display. There will be multiple displays available if you have a multi rate meter, so you must ensure that you note down all the readings available. 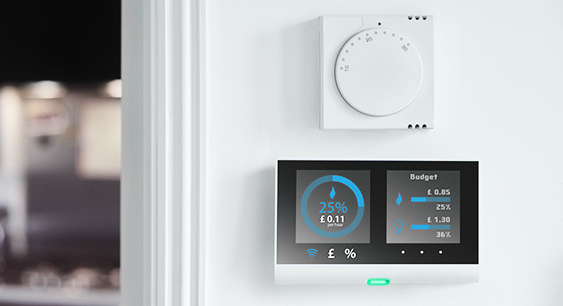 Automatically – if your premises has a, valid smart meter installed.